Hartlepool United 0 Middlesbrough 0, 20/07/2013. 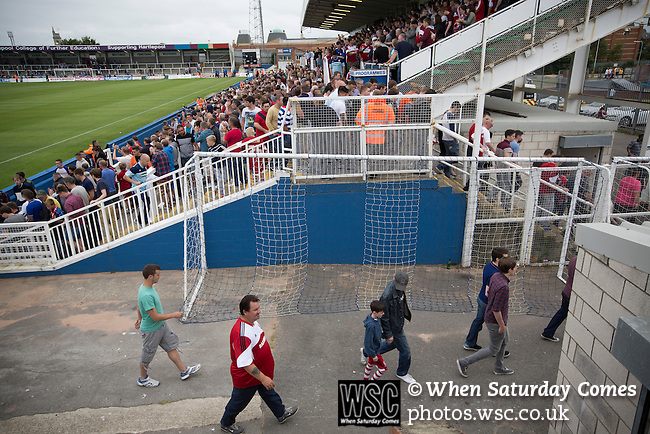 Victoria Ground, Pre-Season Friendly. Supporters of Middlesbrough making their way out of the Victoria Ground, Hartlepool, at the conclusion of a pre-season friendly between their team and Hartlepool United. Hartlepool were relegated to League Two at the end of the 2012-13 season whilst their Teesside neighbours remained two divisions above them in the Championship. The game ended in a no-score draw watched by a crowd of 2307. Photo by Colin McPherson.